This comic took a lot longer than I thought it would. 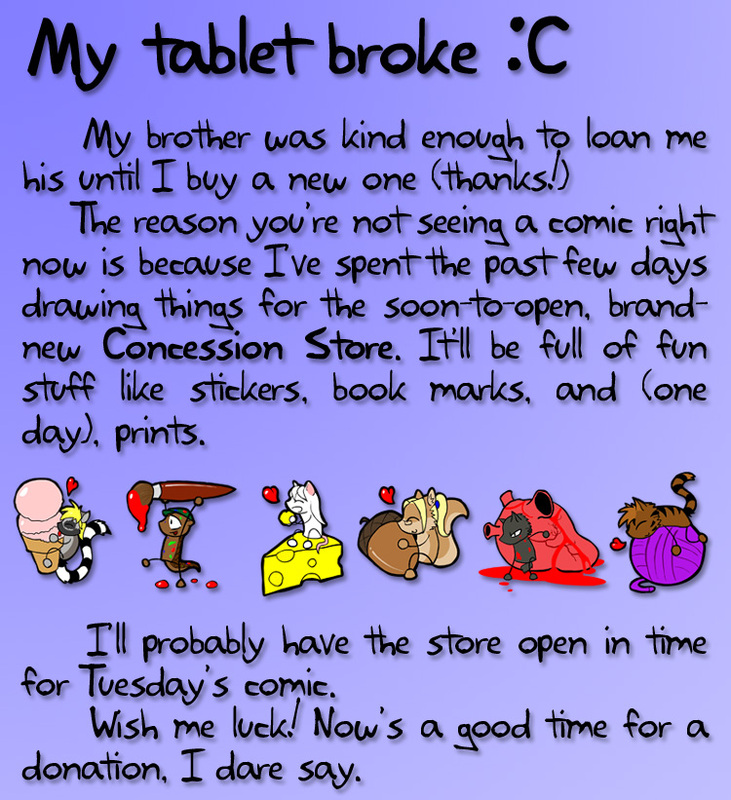 Store's not done yet, I'll try damn hard to get it finished in time for Friday's update. Please don't concern yourself with the technicalities of this comic, regarding whether or not the metal used in peircings is magnetic. Take things less literally, you'll enjoy life a littl more. I know this comic isn't absolutely plausble. You know they're talking animals, right? Sexuality: Het... uh... shi likes dudes. Previously known as Curtis, Carrie was born with ambiguous genitalia, and hir parents had the doctors surgically altered to become a boy. Curtis's young life was plagued with gender misidentity and severe depression. When he found out the truth about his birth, he left home. Now, 15 years later, shi is a very happy and well-adjusted, um, "woman".